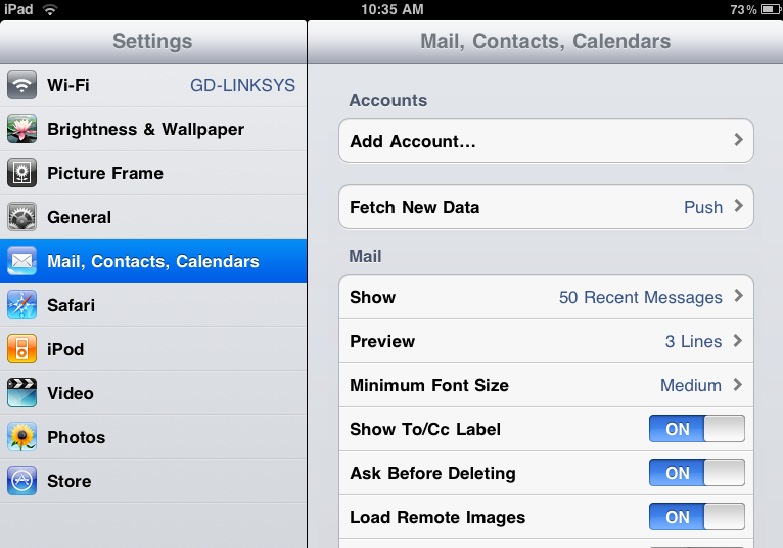 How do I setup my email on a iPad? 1. Locate and press Settings. 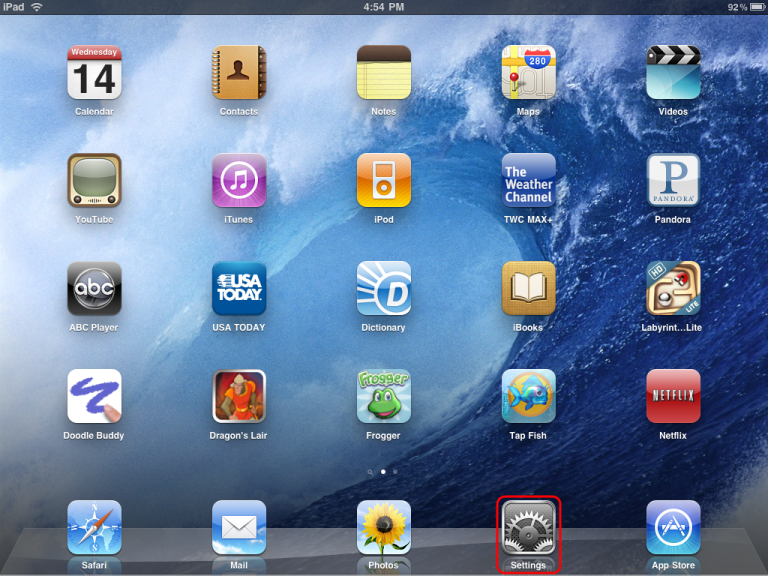 I may be on a different screen or different location then shown here. 8. 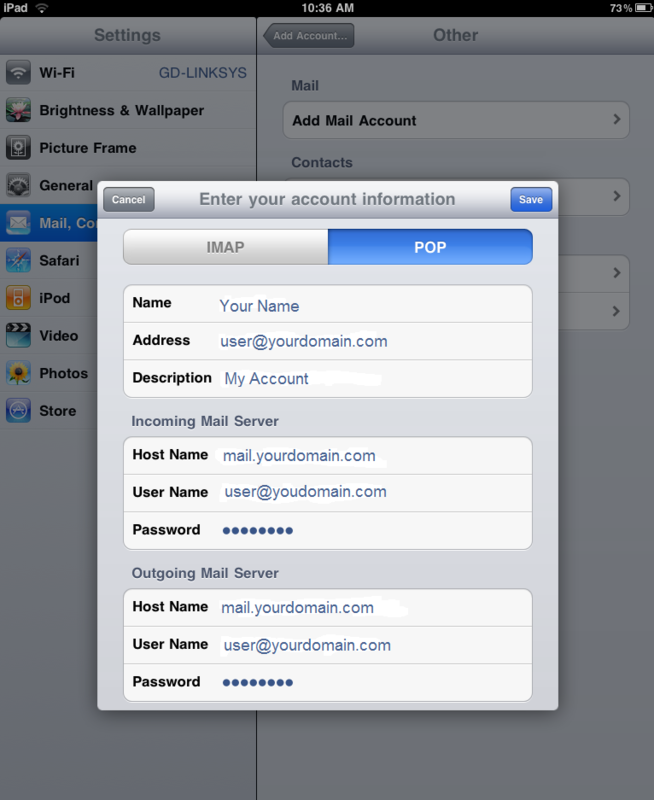 Enter the Incoming and Outgoing Mail Server Information. 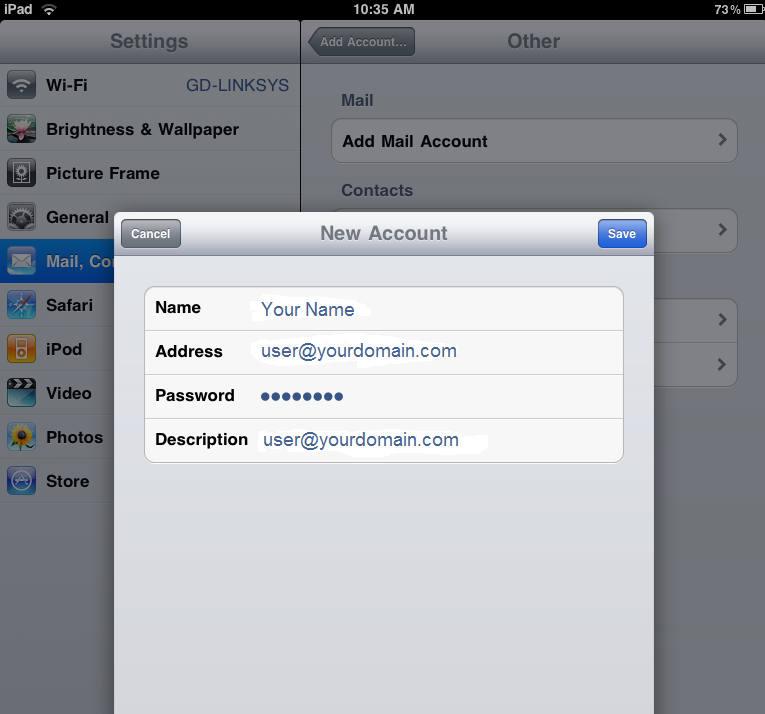 Outgoing Mail Server indicates the username and password is optional, but it is required. 9. 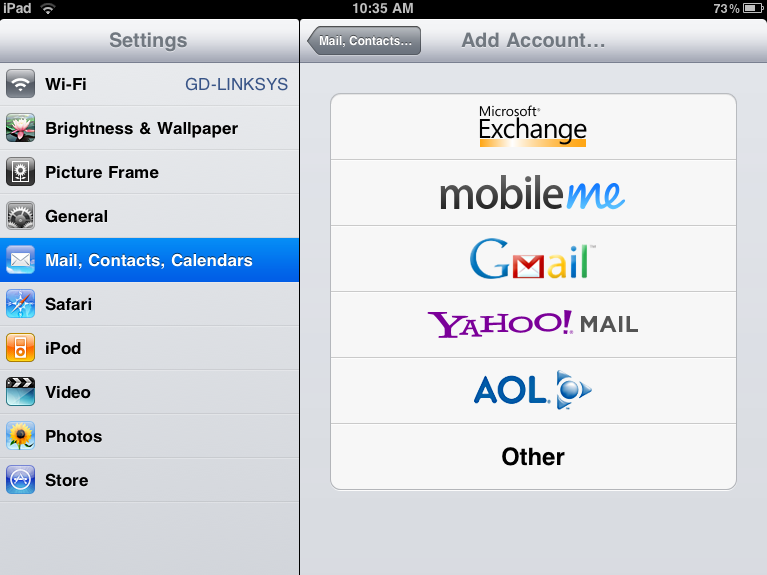 Tap Save in the top right of the Enter your account information screen. 10. On the Secure Connection Failed popup tap Cancel. 12. Tap Save in the New Account popup. 13. 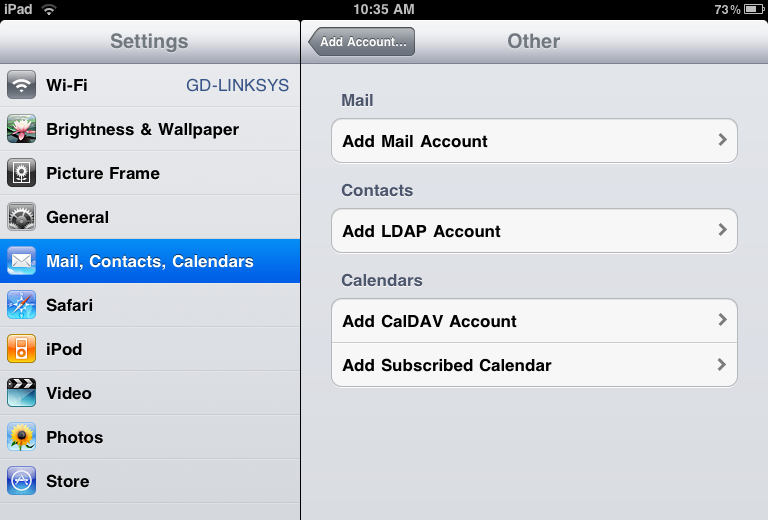 Tap the account you just created in the Mail, Contacts, Calendars screen.